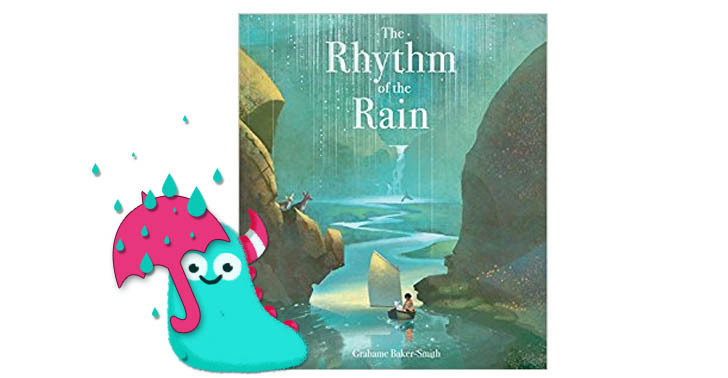 The first time I saw images from picture book The Rhythm of the Rain I was so completely entranced by them that I just had to request this book to review. 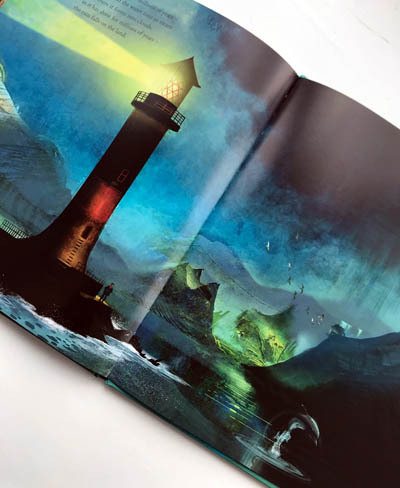 Written and illustrated by Grahame Baker-Smith and published by Templar Publishing, this is one of the most magical picture books I’ve ever seen. I’ve often banged on about my love of non-fiction and the importance of good quality interesting factual books, well The Rhythm of the Rain is a step beyond any such non-fiction book I’ve come across before. In fact I’m sat here now moaning to my other half about how I start writing this blog, because I’m so bursting with love for the book that all my words are pouring out onto the page in an over-excitable babble!! Deep breaths Ally. Right, let’s start at the start shall we? What’s it all about? The Rhythm of the Rain is a non-fiction journey. Do you remember those water cycle diagrams from school? They nicely and clearly explain how the water cycle works, and they do the job very well. However The Rhythm of the Rain, takes this traditional water cycle theory and takes it to another more emotional, more real and more beautiful level. We follow the journey of water starting from one little pond on the side of a tiny mountain where Isaac plays. He throws water from a jam jar into the stream and thus we’re taken on the truyly epic journey of water. Not the simple little trip that the diagrams show, but the truly astounding journey across our planet, from rivers to oceans to clouds, interacting with animals, humans and the environment, and then full circle right back to the pool where Isaac plays. This puts meaning into the story of water, it shows how water is used on this journey. It’s not as static as the school diagrams show, it is SO much more important than that. 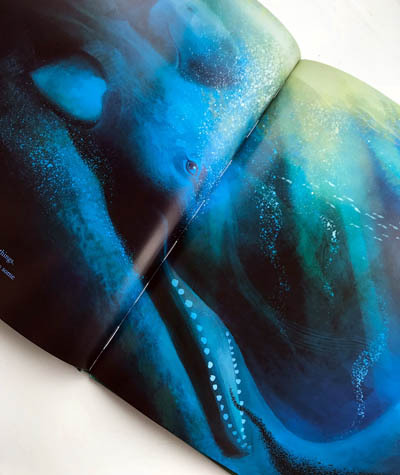 Not only does this book show the real journey that water makes across our planet, but it also shows how we’re all linked together by this one commodity, how we all use it, how we can be touched buy the same element even when separated by mountains and oceans and even continents. It’s quite incredible when you really think about it, and this book gets this feeling across so brilliantly. 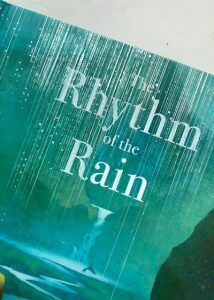 The Rhythm of the Rain is poetically written, yet it’s very clear and concise so I think children of all ages will understand the themes here, and with discussion it would be perfect for use in schools. It’s gentle and rhythmic and very easy to read out loud. 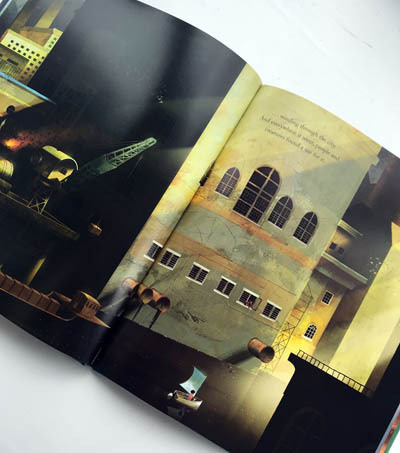 The truly remarkable and stand out aspect of this picture book are the illustrations. Grahame’s artwork is incredible. 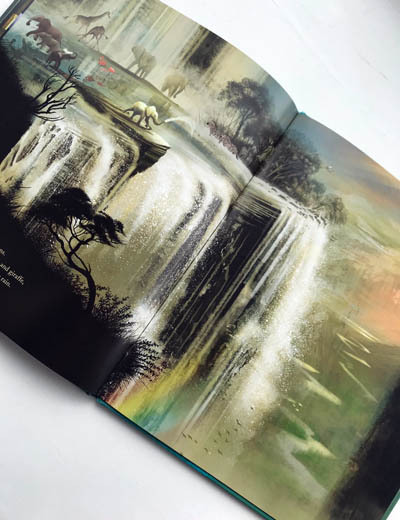 The front cover of my hardback edition has the most gorgeous foil detail, representing the rain, over the top of an illustration of the original little pond, the start of the story and the river winding down to the ocean. It’s an eye catcher for sure. 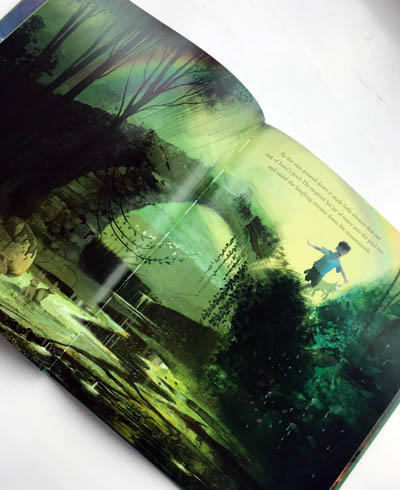 On opening the pages you will be wowed constantly by the most incredible illustration work. You see places you would yearn to go, stunning water filled landscapes. Intricate details showing the readers how the water is being utilised on its journey; from humans using it for fun, work and survival, to different kinds of animals and ending with the growth of flowers. 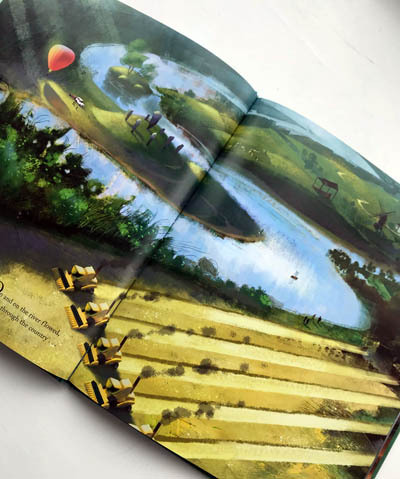 Each page is a breathtaking scene bursting with colour, texture, depth and information, giving this book such importance, enjoyment and educational value. 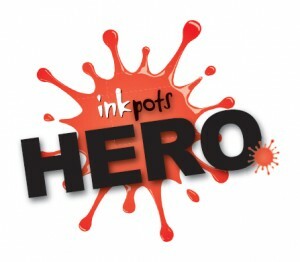 Non-fiction books take many forms from the overtly factual information books, to a more subtle “fun” form. And without doubt there is a place for all forms, I think any way we can get non-fiction books out there, the better. 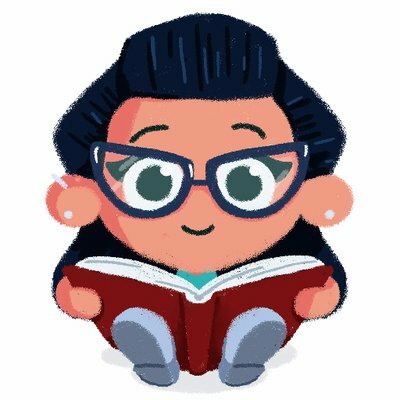 The Rhythm of the Rain take non-fiction to another level, by injecting heart and emotion and scale into a very science and nature based theme and it really works so beautifully. During my stint as a teacher, I would have loved to have something like this to support my teaching. But, you know, non-fiction, education value aside, this book is just wonderful. beautiful and astounding to look at. The Rhythm of the Rain is available now from all good bookshops and libraries. Previous Post A Bear is a Bear (except when he’s not).